September 02, 2018 at 5:16 pm. Trades haven’t traditionally been the Bears’ forte, as the Jay Cutler and Rick Mirer deals showed. A franchise mired in the depths of the NFC North for four years has been building hope since last season ended and needed one big move to cover a major weakness at pass rusher. And the feeling by general manager Ryan Pace and coach Matt Nagy is that Mack can be the last big change to make the Bears relevant again in November, let alone December. The $90 million guaranteed in a $141 million contract says he has to be what the Bears hope. He’s set a bar for defensive players around the league in future negotiations. The Bears paid a steep price for Mack of first-round draft picks in 2019 and 2020, a third-rounder in 2020 and a sixth-rounder in 2019. In return, they received Mack and second- and fifth-round picks in 2020. The fifth-round choice is conditional. — Antonio Gates and the Los Angeles Chargers agreed to terms on a deal that will see the veteran tight end return for a 16th season, the team announced Sunday. The Chargers did not divulge the terms of the deal, although multiple media outlets reported that it is for one year. Quarterback Cardale Jones was released in a corresponding move, according to NFL.com. Jones survived the Chargers’ initial Saturday cuts but became a casualty of the numbers game with the signing of Gates. Gates became a free agent in March, and the Chargers notified his representation that they would not seek to re-sign him. An eight-time Pro Bowl selection and three-time All-Pro, Gates had 30 receptions for a career-low 316 yards and three touchdowns in a reduced role in 2017 as the Chargers attempted to transition into a new era with fellow tight end Hunter Henry. Gates is the Chargers’ career leader in receptions (927), receiving yards (11,508) and touchdowns (114), with his touchdown total an NFL record for tight ends. — The Denver Broncos waived former first-round pick Paxton Lynch after claiming fellow quarterback Kevin Hogan on waivers Sunday. Lynch, who has been booed by the home fans during the preseason, struggled since being selected with the 26th overall pick of the 2016 NFL Draft out of Memphis. He was unable to win the starting job from Trevor Siemian in both 2016-2017. The 6-foot-7, 244-pound Lynch has posted a 1-3 mark in four career starts with four touchdowns and four interceptions. He has completed 79 of 128 passes for 792 yards in five career appearances. Hogan, who joins starter Case Keenum and former Mr. Irrelevant Chad Kelly with the Broncos, was released by the Washington Redskins on Saturday as they trimmed their roster to 53 players. The 25-year-old Hogan was acquired along with a sixth-round pick (No. 205 overall) in the 2018 NFL Draft from the Cleveland Browns in April in exchange for a sixth-round pick (No. 188). — Baltimore Ravens kicker Kaare Vedvik was found injured early Saturday morning and transported to the Maryland Shock Trauma Center, the city’s police department announced. According to a statement from the Baltimore Police Department, officers found Vedvik suffering from upper-body injuries in the area of Boone St. in East Baltimore at 4 a.m. ET. Police said the injuries to the 24-year-old Norwegian kicker are not considered life-threatening and the incident remains under investigation. Vedvik also was discovered to have his teeth knocked out, per 105.7 The Fan in Baltimore. Although Vedvik wasn’t expected to replace long-time Ravens kicker Justin Tucker, the former could garner interest from other NFL teams after putting forth an impressive performance during the preseason. In the team’s preseason finale Thursday, Vedvik made all three of his field goals attempts — including one from 56 yards — in addition to three extra points. During Vedvik’s final season at Marshall, he averaged 44 yards per punt and made 10 of 16 field goal attempts. — The New York Giants waived second-year quarterback Davis Webb and claimed an NFL-high six players Sunday, multiple media outlets reported. Webb’s departure comes after he served as the backup to Eli Manning during his rookie season. Fourth-round rookie Kyle Lauletta and fellow quarterback Alex Tanney remain on the roster for the Giants, who have the 37-year-old Manning under contract through the 2019 season. The 23-year-old Webb was selected by the Giants with a third-round pick of the 2017 NFL Draft. New York elected against taking a quarterback in the first round of the 2018 NFL Draft as they chose former Penn State running back Saquon Barkley with the second overall pick. Webb, who is listed at 6 foot 5, did not take a snap in a regular-season game in 2017. He finished the preseason by completing 28 of 53 passes for 283 yards with one touchdown and no interceptions. The Giants claimed defensive end Mario Edwards among their six selections on Sunday. Edwards, who was a former second-round pick of Oakland, was waived by the Raiders on Saturday as the team trimmed its roster to 53 players. Wide receiver Kaelin Clay was also claimed by the Giants after splitting last season with Buffalo Bills and Carolina Panthers. Defensive backs Antonio Hamilton, Kamrin Moore and Michael Jordan and center Spencer Pulley were also claimed by the Giants on Sunday. — The New England Patriots claimed two wide receivers on waivers Sunday, one day after trimming their roster to 53 players. Darboh was a third-round pick out of Michigan in 2017 but had a disappointing rookie season when he managed only eight receptions for 71 yards. He mostly saw action on special teams. The Jets selected Hansen with a fourth-round pick out of California in 2017. Hansen caught only nine passes for 94 yards as a rookie. — Cornerback Terence Newman announced his retirement as a player and will join the Minnesota Vikings’ coaching staff effective immediately. The Vikings did not provide specifics on the new role for Newman, who re-signed with the organization in mid-April and initially said that he make the 2018 season his last. He turns 40 on Tuesday. Newman entered the league in 2003 out of Kansas State with the Cowboys, where he first played for now Vikings coach Mike Zimmer, then the team’s defensive coordinator. He later reunited with Zimmer with the Cincinnati Bengals for two seasons (2012-13) before joining the coach with the Vikings in 2015. A two-time Pro Bowl selection (2007 and 2009), Newman was set to begin his 16th NFL season and fourth with the Vikings before calling it quits. He totaled 25 tackles, one interception and five pass deflections in 2017, when he played in all 16 games and made seven starts. Newman was the league’s active leader in interceptions (42). The 5-foot-10, 197-pounder also has 876 tackles, eight forced fumbles and seven fumble recoveries in 221 career games with the Cowboys, Bengals and Vikings since being selected by Dallas with the fifth overall pick of the 2003 NFL Draft. — The Miami Dolphins on Sunday claimed quarterback Luke Falk off the waiver wire, giving the team a fourth quarterback on the 53-man roster. Quarterbacks Brock Osweiler and David Fales seem to be the most in danger of being waived after Falk was claimed. Coach Adam Gase told the Florida Sun-Sentinel the plan throughout preseason was to keep three quarterbacks. Tennessee selected Falk out of Washington State, in the 2018 NFL Draft in the sixth round. He completed 68.3 percent of his passes for 14,481 yards and 19 touchdowns for the Cougars. — Seattle Seahawks cornerback Byron Maxwell was placed on injured reserve with an ailing hip, the team announced. Maxwell, who signed a one-year, $3 million deal with Seattle this offseason, was expected to serve as the Seahawks’ starting left cornerback. The 6-foot-1, 198-pound Maxwell, in fact, was slated to replace cornerback Richard Sherman, who was released by the Seahawks on March 9 and signed with the San Francisco 49ers. With the move, Maxwell is ineligible to be activated off the list later this season. He could, however, play again this season for Seattle — or another team — if he reaches an injury settlement with the Seahawks. Maxwell spent one season with the Eagles before being traded to the Miami Dolphins in 2016, but he was released last October and signed with the Seahawks for the rest of the season a month later. 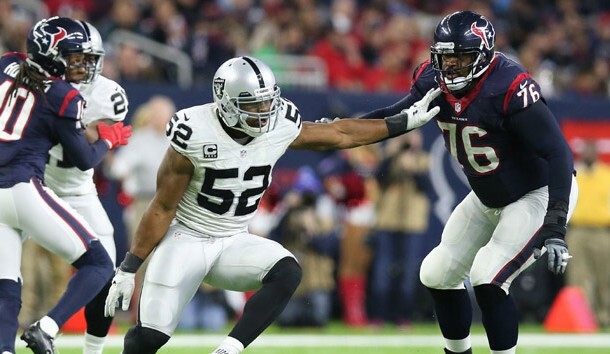 In 83 career games, Maxwell has 245 tackles (203 solo), 11 interceptions, 59 passes defensed and 11 forced fumbles. — The Cleveland Browns on Sunday sent another “Hard Knocks” favorite player packing. Defensive lineman Carl Nassib along with fellow lineman Jamie Meder were released to make room for waiver claims Cleveland made Sunday. Included in those claims were defensive tackle Carl Davis from the Baltimore Ravens and defensive end Ifeadi Odenigbo from the Minnesota Vikings, according to multiple reports. Nassib became a star on the HBO series when he gave an expletive-laced lesson on investing money to his teammates. On the field, Nassib was a third-round pick out of Penn State in 2016 and has 5.5 sacks in his career. — An annoyed Doug Pederson lashed out at the media on Sunday, refusing to name a starter for Thursday’s season opener when the Eagles open defense of their title against the Falcons. The Eagles coach was particularly perturbed about reports late last week that said Nick Foles would get the start over Carson Wentz. “First of all, I appreciate y’all putting words in my mouth this week, and, therefore, I’m not going to discuss it,” Pederson said. The report came from the NFL Network and NFL. Pederson did say Wentz had not yet been cleared to participate in contact drills. Last week, Pederson also was annoyed about constant questions about Wentz’s health. — The New Orleans Saints on Sunday signed running back Mike Gillislee to a one-year deal. Gillislee was released Saturday by New England despite accumulating 960 yards and 13 touchdowns the past two years. Second-year player Alvin Kamara is solidly entrenched as the starter, but the Saints will be without Mark Ingram for the first four games of the regular season. The signing of Gillislee gives the Saints another viable offensive weapon. In a game against New Orleans last season, Gillislee gained 69 yards and scored one touchdown on a sason-high 18 carries. — The Philadelphia Eagles released Christian Hackenberg on Saturday to get down to the 53-man roster limit. The 51st pick in the 2016 NFL Draft by the New York Jets, Hackenberg has yet to play in a regular-season game. New York traded the former Penn State signal caller to the Oakland Raiders for a conditional seventh-round pick in the 2019 draft. He was waived this past spring. He signed with the Eagles but made just one appearance in the preseason, in the team’s final tuneup. He completed just 7 of 16 passes for 69 yards, zero touchdowns and two interceptions. — The Washington Redskins announced Sunday that they signed eight players to their practice squad. Those players are: running back Kapri Bibbs, wide receivers Simmie Cobbs Jr. and Darvin Kidsy, tight end Matt Flanagan, defensive back Kenny Ladler, linebacker Cassanova McKinzy, tackle Timon Parris and defensive tackle JoJo Wicker. Cobbs, out of Indiana, hauled in an 18-yard touchdown pass against Denver in Friday night’s preseason finale. — The Indianapolis Colts on Sunday signed the following five players to the practice squad: tight end Mo Alie-Cox, wide receiver Reece Fountain, wide receiver Steve Ishmael, quarterback Phillip Walker and cornerback D.J. White. All five players were among the final cuts made on Saturday. — The Denver Broncos on Sunday placed safety Su’a Cravens on injured reserve and signed wide receiver Isaiah McKenzie. While a member of the Washington Redskins, Cravens sat out the entire 2017 season recovering from post-concussion syndrome. He will be eligible to return to the active roster midseason. McKenzie likely will be the main punt returner. He was among the final cuts on Saturday as the Broncos got down to the 53-man roster limit. — The Arizona Cardinals claimed three players via waivers on Sunday and signed one free agent. The Cardinals claimed offensive lineman Blaine Clausell, defensive tackle Garrison Smith and offensive lineman Jeremy Vujnovich. Arizona also signed free agent defensive end Zach Moore. The Cardinals waived injured defensive end Vontarrius Dora and safety A.J. Howard and released offensive linemen Evan Boehm and Will Holden. In addition, the team re-signed offensive lineman Will House, defensive end Alec James, quarterback Charles Kanoff, running back Elijhaa Penny, defensive tackle Pasoni Tasini, wide receiver Jalen Tolliver and tight end Andrew Vollert to the practice squad.